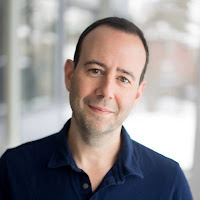 Please welcome Jay Schiffman to The Qwillery as part of the 2018 Debut Author Challenge Interviews. Game of the Gods was published on July 10th by Tor Books. There’s no time to stop. No bench to sit on. No one to grow crop. Not a field, nor a meadow. Not a tractor, just a car. But we’re not going too far. Jay: 83.67% pantser, 10.91% plotter, 5.42% unknown. Jay: In terms of the logistics of writing, time and place are important to me. I can be very finicky about the setting. Generally speaking, I like to write in the morning with a cup of coffee at my desk. I’m a creature of habit, so if you make me start writing in the afternoon, coming down from a caffeine high, sitting uncomfortably in a noisy restaurant, I probably won’t be productive. In terms of the mechanics of writing, the biggest challenge is writing about things we all do every day. I have the literary luxury of rarely having to write a lot about characters washing their faces or eating toast, but sometimes it comes up even in a sci-fi action adventure like mine. The key is to avoid being cliché, while also conveying the truisms that underlie the most mundane aspects of life. Jay: I read a lot of science fiction, see a lot of science fiction movies, and watch a lot of science fiction television. So, obviously whatever is going on in science fiction, I’m influenced by it. But I am also a huge politics junkie. I am passionate about the current state of American politics—particularly the lack of truth, fact-based reasoning, and meaningful political discourse—and this has greatly influenced Game of the Gods. But even more importantly, it is strongly impacting what I want to write about next. TQ: Describe Game of the Gods with only 5 words. Jay: A man fights for his family. (Sorry, six words, but I’m not great at math and writing is all about breaking rules). TQ: Tell us something about Game of the Gods that is not found in the book description. Jay: Game of the Gods is a story about a flawed hero, Max Cone. His flaws are many, but one of his more interesting flaws is that he acts as though he’s completely detached, completely above it all. Max claims he abhors all of the trappings of power, including awards and titles, yet he wraps himself in them. Max’s identity is built on a set of rigid formalities—he’s a revered military Commander, an esteemed Judge, a leader who everyone believes is a man of great character. He is boxed-in not just by what others think, but what he believes they need him to be. But when his family is taken from him, these layers of detachment, duty, and convention slowly start to peel away and he begins to understand his true self. TQ: What inspired you to write Game of the Gods? 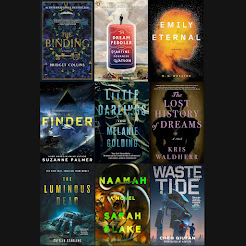 What appeals to you about writing Science Fiction? Jay: I grew up loving Kurt Vonnegut and reading everything he ever wrote. I also read all the great dystopian novelists—Huxley, Bradbury, Orwell to name a few. I didn’t necessarily start out writing Game of the Gods thinking it would be science fiction. But early on in the process, I realized I was writing in this rich tradition, and I came to understand that science fiction is the perfect vehicle for telling an action adventure that touches on big political issues. I mostly wanted to entertain people with a fast-moving plot with lots of twists and turns and political intrigue. Clearly, politics and the idea of the hero against the world were huge influences for me. 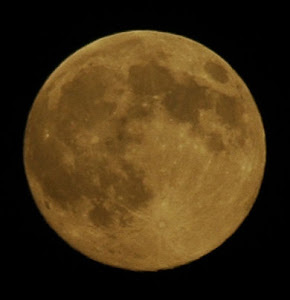 But at the same time, I grew up reading science fiction novels and watching Steven Spielberg movies that were just fun. The “fun” part of sci-fi was a huge influence as well. TQ: What sort of research did you do for Game of the Gods? Jay: One of the characters in my novel is a mathematical genius. I am not. Truth be told, calculus was an enormous struggle for me, and although my graduate studies required me to take statistics, game theory, and some calculus, I remembered very little of it. So, I wanted to make sure I understood the mathematical concepts that were addressed in the book—irrational numbers, pi, infinite numbers, etc. This same character also explains concepts relating to time and space, and I similarly had to do research on the scientific underpinning of those concepts. I didn’t read Einstein’s Theory of Relativity—it was more “Space & Time for Dummies”—but it did require me to hurt my brain a little. TQ: Please tell us about the cover for Game of the Gods. Jay: The cover is a gloved hand reaching up to the heavens. It is an insignia that the leader of the Nation of Yerusalom, the Holy Father, used. It represents the idea of humankind reaching for the heavens. TQ: In Game of the Gods who was the easiest character to write and why? The hardest and why? Jay: Two of the most important characters in the book are the Holy Father, the religious and political leader of the Nation of Yerusalom, and Max Cone, a former military commander and High Judge in the Federacy. The Holy Father was the easiest to write while Max, the narrator and central figure in the story, was the hardest. The Holy Father is a conniving, manipulative character whose intentions are hard to discern. But he articulates a clear and consistent view of the world. Although I purposefully wanted his motivations to be unclear to the reader, I also wanted him to speak with a singularly coherent and uniform voice. It was easy to write this character, because he was extremely disciplined and guarded in what he said to others. To the contrary, Max, who narrates in the first person, freely shares his everchanging motivations with the reader. His views of the world are in flux and this presented a challenge for me. I wanted Max’s internal confusion and the instability in his beliefs to come through to the reader. This was at times challenging because I needed to balance Max’s core qualities with how he was adapting to new circumstances. TQ: Does Game of the Gods touch on any social issues? 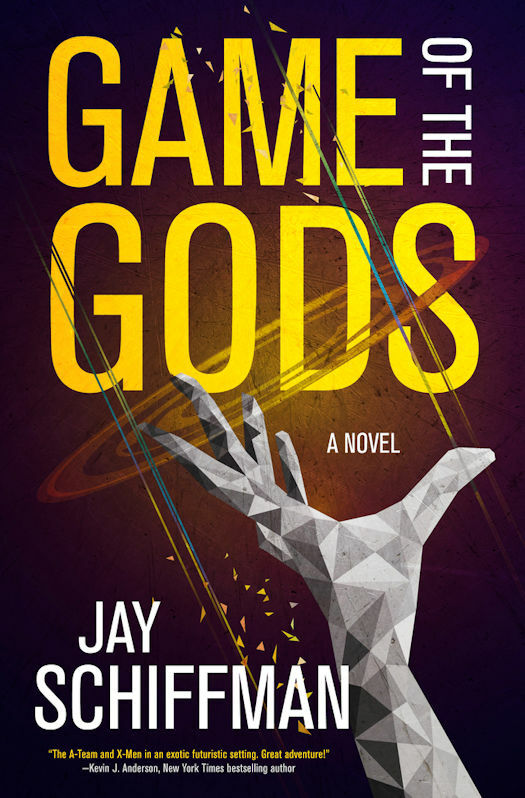 Jay: Game of the Gods touches on a number of political and social issues, but one that I hope the reader thinks deeply about is the importance of family in comparison to the importance of religion, political affiliation, and other larger transcendent relationships. This theme permeates the book, and many of the characters have strong views on the role of family versus the role of larger institutions like nations or religions. There is no right answer to this polemic, but it’s one that I hope the reader considers. TQ: Which question about Game of the Gods do you wish someone would ask? Ask it and answer it! Q: Do you wish you did something different in terms of how you wrote Game of the Gods? A: I am not the kind of person to generally look backwards, but I wish I had read Margaret Atwood’s 2017 introduction to The Handmaid’s Tale before I started writing Game of the Gods. I only read this new introduction recently. In it, Atwood describes a set of rules she created to guide her through the writing process. I wish I had made a similar set of rules. I have already started drafting a set of rules like this and will use it for my next novel. TQ: Give us one or two of your favorite non-spoilery quotes from Game of the Gods. Jay: I have a well-developed sequel in my mind, but at the same time, I am very interested on working on a new idea I have about gangs, religion, and politics in near future America. I am truly torn about which to write next, but I’m sure I will decide soon. 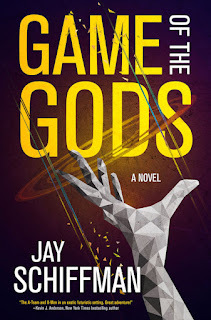 Jay Schiffman's Game of the Gods is a debut sci-fi/fantasy thriller of political intrigue and Speilberg-worthy action sequences in the vein of Pierce Brown's Red Rising. Max Cone wants to be an ordinary citizen of the Federacy and leave war and politics behind. He wants the leaders of the world to leave him alone. But he’s too good a military commander, and too powerful a judge, to be left alone. War breaks out, and Max becomes the ultimate prize for the nation that can convince him to fight again. When one leader gives the Judge a powerful device that predicts the future, the Judge doesn’t want to believe its chilling prophecy: The world will soon end, and he’s to blame. But bad things start to happen. His wife and children are taken. His friends are falsely imprisoned. His closest allies are killed. Worst of all, the world descends into a cataclysmic global war. In order to find his family, free his friends, and save the world, the Judge must become a lethal killer willing to destroy anyone who stands in his way. 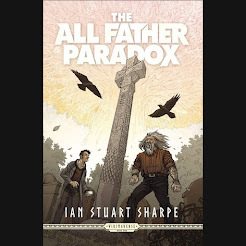 He leads a ragtag band of warriors—a 13-year old girl with special powers, a mathematical genius, a religious zealot blinded by faith, and a former revolutionary turned drug addict. Together, they are the only hope of saving the world. Jay grew up in an unremarkable New York City suburb playing basketball, watching Steven Spielberg movies, and reading everything that Kurt Vonnegut ever wrote. As a kid, it was obvious what Jay’s two main passions were—writing and arguing. So, eventually, he would become a lawyer. Jay went to the University of Michigan where he studied English and Political Science. After that, Jay received a law degree and Ph.D. in Political Science from New York University. He wrote his dissertation on competing theories of tolerance in American law and politics. He taught at NYU, published academic papers, and was a Bradley Fellow in American Government. Jay found the academic life a little too academic and so he committed himself to practicing law. As an attorney, Jay worked on a wide variety of issues. He started as a Law Clerk to a United States Judge before joining his first firm. As a practicing attorney, Jay worked on civil rights, children’s issues, commercial litigation, constitutional law, criminal law, and federal death penalty cases. Towards the end of his legal career, he spent a lot of time visiting prisoners in detention centers. Jay worked many hours with individuals accused of murder and awaiting death penalty trials. In the confined spaces of these detention centers, he learned two important things—there’s a lot of humanity in people who do inhumane things and never take for granted the fact that you get to leave. When his first daughter was born, Jay decided to leave law and start his first business, an educational learning company for children. A few years later, he sold that company to a large private equity firm. Jay had caught the entrepreneurial bug. Since founding his first company, Jay has been involved in a number of successful businesses in the digital, educational, technology, and consumer goods spaces.